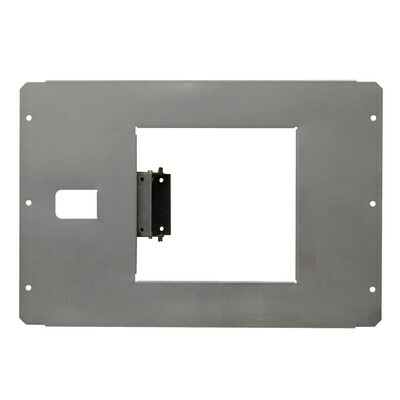 This rough-in bracket is quick to install allowing for pre-wiring of several of our media plates and boxes, listed below. The plate itself is designed to fit perfectly between studs on a 16-inch layout, on center placement. The plate is 22 gauge galvanized steel including a steel outlet box with 8 knockouts for conduit or armored cable mounting. The plate is reversible to allow for receptacle placement on either side and has a built-in mud ring for drywall trim out.